For new and existing StayWell Rewards card holders (free to join!). 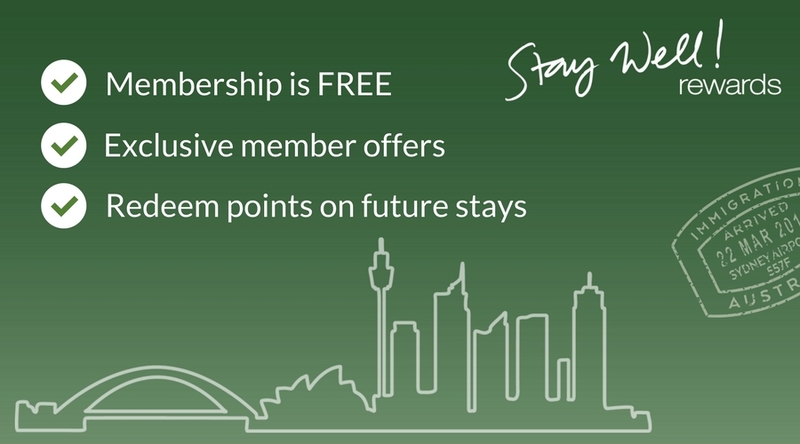 Get a great discount off our Best Flexible Rate, earn points and still enjoy all of the benefits including BOOK NOW, PAY LATER with FREE CANCELLATION* (See T&C's for Details). For new members, we'll sign you up when you arrive. Add your email to be the first to hear about our latest news and exclusive subscriber-only offers. © Copyright Leisure Inn 2019. All Rights Reserved.